What If the World Was Vegan? The true building blocks of cuisines across the planet are the spices, herbs, and grains-from basmati rice to buckwheat, coconut to caraway seeds. Apply those flavors to vegan staples such as seitan, or tofu and even straight-up vegetables, and the possibilities? If not endless, pretty darned expansive. So what if the world was vegan? Your own cooking is the answer to that question; fire up the stove and make a green curry, simmer a seitan date tagine stew, or hold a freshly made corn tortilla piled high with chile-braised jackfruit in your hand. Chart your course in the great, growing map of vegan food history. 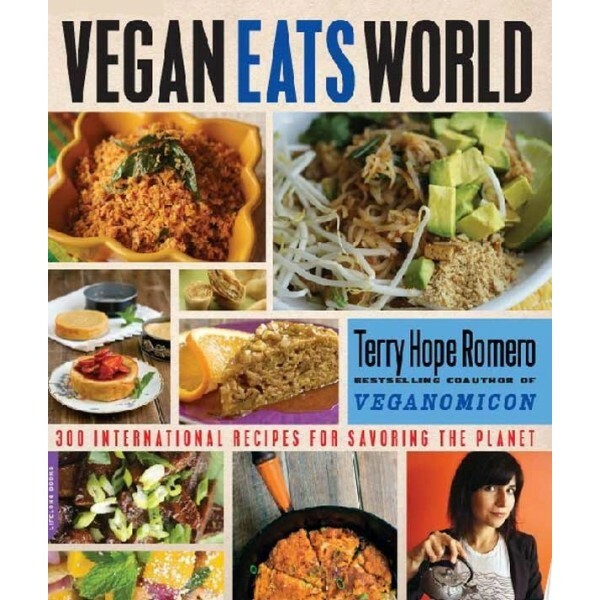 Award-winning chef, author of Veganomicon, and author of Viva Vegan Terry Hope Romero continues the vegan food revolution with more than 300 bold, delicious recipes based on international favorites. With chapters devoted to essential basics such as Spice Blends; The Three Protein Amigos; and Pickles, Chutneys & Saucier Sauces, you can make everything from salads to curries, dumplings and desserts. Vegan Eats World will help you map your way through a culinary world tour, whether you want to create a piergoi party or Thai feast, easy Indian chaat lunch or Your International House of Dinner Crepes. 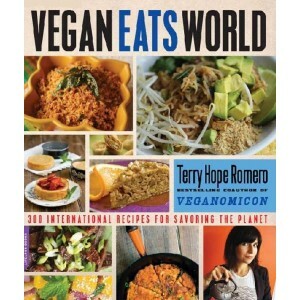 Terry Hope Romero is co-author with Isa Chandra Moscowitz of bestselling vegan cookbooks, Vegan Cupcakes Take Over the World, Veganomicon and Vegan Cookies Invade Your Cookie Jar. Jessica Alba featured Vegan Cupcakes Take Over the World in her Seven Secrets for a Fast Slimdown. Isa and Terry won US VegNews's Best Vegan Cookbook Authors award three years in a row. They hosted the public access vegan cooking show The Post Punk Kitchen and were featured in the New York Times and US Public Radio. Terry is a columnist for VegNews's Hot Urban Eats, has made appearances and lead seminars at vegetarian food conferences across North America. She and Isa hosted the public access vegan cooking show The Post Punk Kitchen and were featured in the New York Times and National Public Radio.